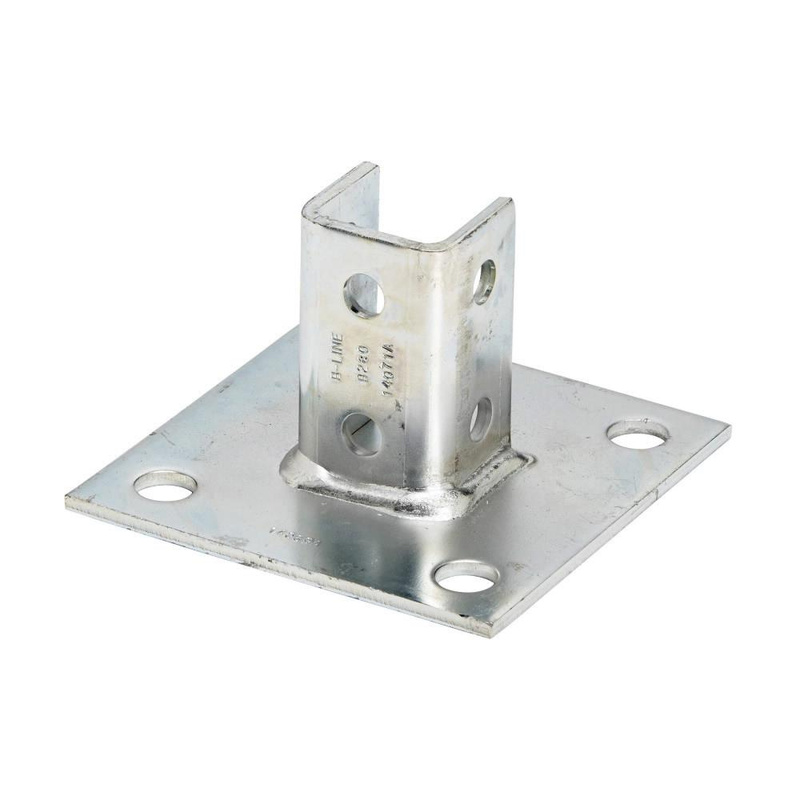 B-Line 4-Hole U Post base features steel construction and hot-dip galvanized finish. Square base has hole of diameter 9/16-Inch. It is suitable for use with 1-5/8-Inch x 1-5/8-Inch B22 channel. Base measures 6-Inch x 6-Inch and post measures 1-11/16-Inch x 3-1/2-Inch x 1/4-Inch.